April’s diner ride to Stag Cafe, Junction 47a A14. Meet at British Sugar Sports and Social Club, Hollow Road, Bury St Edmunds, at 9:30 leave approx 9:45, scenic route. 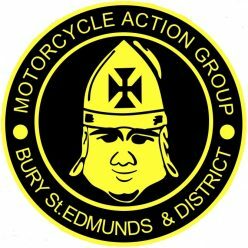 AGM, Wednesday 3rd April 8p.m., British Sugar Sports and Social Club, Hollow Road, Bury st Edmunds. Bring your MAG membership card to vote.